A "Non Mover" By The Aston Workshop. As part of our continuous development we have been looking into issues relating to valve seat recession and the difficulties in "re-setting" the tappets on 6 Cylinder Aston Engines. Valve and valve seat recession wear leads to the closing up of tappet clearances which in turn causes a whole host of issues. On an Aston Martin V8 engine the tappets can be easily sorted with the cylinder heads in-situ due to the large range of "top hat style” shims available. 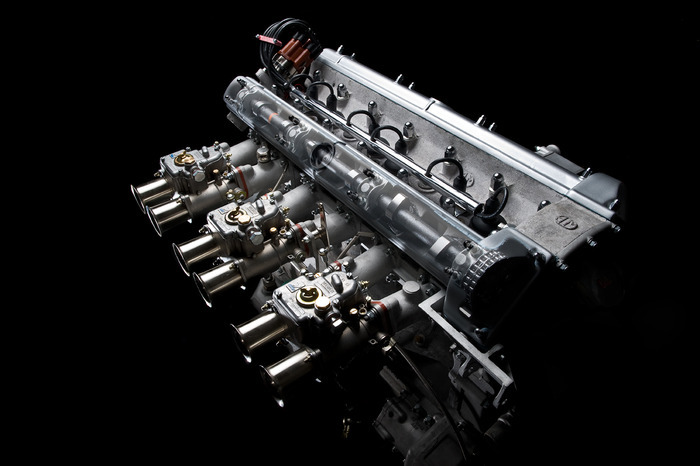 On the 6 cylinder engines (DB2-DBS6) it is much more difficult. Here the cam follower bucket and valve height are what set the tappet running clearances. 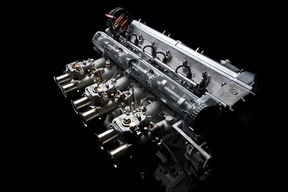 Unlike the V8, the "thickness" range of buckets available is also very limited on the 6 cylinder engine. This usually results in the cylinder head having to be removed and replacement valve seats fitted; what basically ammounts to a full rework of the cylinder head. To combat this issue we looked into re-designing the valve assembly to incorporate different style adjustable tappet shims. The first option we investigated was the use of V8 shims, then subsequently fitting shorter valves and modifying the camshaft design etc. All of which resulted in a change from the original geometry of the valve train assembly. The second option was the fitting of a modern style cam follower bucket with a large "tablet" style shim located in the top. This design has been very popular with leading car manufacturers. Basically the shim sits in the top of the follower and has a smooth ‘ground’ face which the cam shaft directly operates on. Using this method there is a large range of "shims" readily available and setting the tappets would be simplified further. Still looking at further options we investigated what the leading manufactures were using in their more up to date engines. Obviously there was a long period where manufactures were using "hydraulic" follower buckets (not an option on the Aston engines due to the required oil feeds) but to our surprise many manufactures had reverted back to the original "Aston" style "solid bucket" arrangement. Modern manufacturing techniques and materials had advanced. This was the answer. After all, we had already adopted the necessary tooling and machinery at Aston Workshop. Each valve seat is machined exactly to a very high tolerance (fitted in situ), and we use only the best possible quality valves and seats. We then carried out checks on various vehicles that had previously benefitted from our unleaded cylinder head conversions. There was no change to tappet settings! This outcome completely backs up our philosophy at the Aston workshop. Quality obtained through attention to detail and the use of the very best materials and equipment. As a result of this exercise we can now offer a *10 year guarantee against issues relating to tappet clearance change. 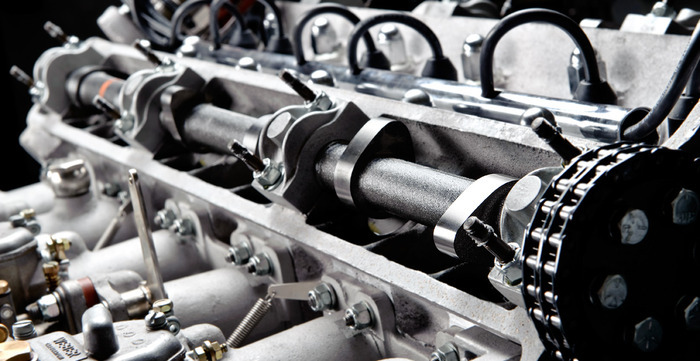 If a problem arises caused by valve seat/valve wear, and the tappets require "re-setting" during the warranty period, we will undertake the work free of charge.